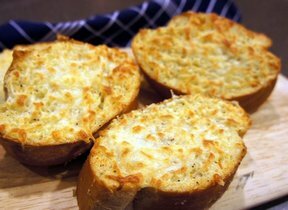 Broiled cheese over buttery bread with garlic flavor throughout. This is the perfect side to any pasta dish. Lay bread slices flat on a baking sheet. Spread butter and then mayonnaise over bread. Sprinkle with grated Parmesan cheese. 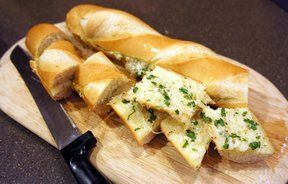 Sprinkle each slice with shredded mozzarella and cheddar cheeses. 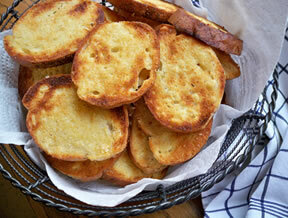 Sprinkle garlic salt evenly over slices of bread. 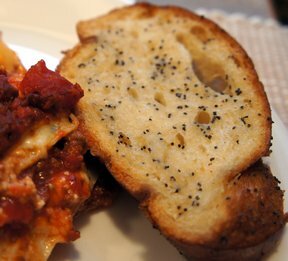 Place under broiler for 6-8 minutes or until cheese is melted and bread is lightly browned.